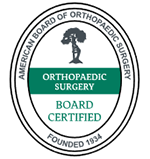 Dr. Neil Duplantier is a board certified orthopaedic surgeon who is fellowship trained in sports medicine, arthroscopy, and cartilage surgery. Dr. Duplantier spent an extra year of surgical and medical training after residency to concentrate on the diagnosis and treatment of athletic injuries. 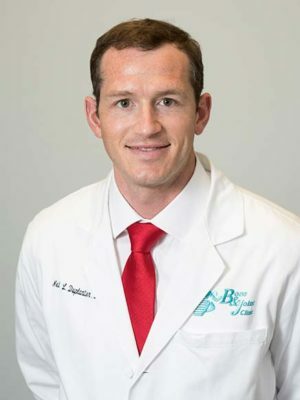 Dr. Duplantier currently serves as the head team physician for the the New Orleans Major League Rugby team, the NOLA Gold, and as the Medical Director for the Sports Medicine Dept at West Jefferson Medical Center. He has worked with various professional athletic organizations including the Houston – Astros, Texans, Dynamo, and Ballet Company; collegiate teams such as Rice and Loyola; and numerous high school teams in both New Orleans and Houston. He has also had the unique opportunity to provide treatment for the astronauts at Johnson Space Center, and the athletes at the 2016 NCAA Final Four. Dr. Duplantier aims to treat all of his patients with the same high quality orthopaedic care that professional athletes receive. He utilizes a minimally invasive approach to the treatment of injuries when possible in order to return patients to sport and work as quickly and safely as possible. He also aims to prevent musculoskeletal injuries before they occur through patient education and a direct focus on proper athletic technique. Please see publications and presentations page. Dr. Duplantier specializes in acute and chronic ligament, tendon, or cartilage injuries to all major joints. He primarily treats shoulders, elbows, Knees and Hips. Many of these injuries are either sport or work related, but that is not required. He treats fractures surgically when necessary, but performs casting, bracing, and other non-operative treatments such as specialized injection therapies.